John Battelle's Search Blog Twitter Drops Other Shoe, Which You All Saw Coming, Right? 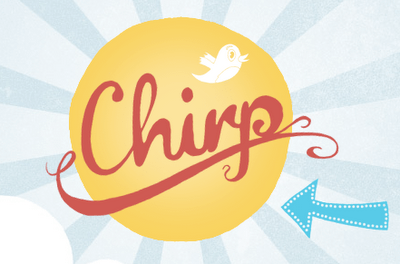 In short, if you are a potential competitor, and have the resources, motivation, and potential to harvest the connections between Twitter users at scale, well, expect to get cut off. You’re a threat to Twitter’s revenue stream. And while one could argue that in 2010, it was consumers who didn’t “get” Twitter, perhaps the folks scratching their heads via Google now are developers, who of late have been concerned that building on top of Twitter’s APIs might be dangerous for their long-term livelihood. Twitter’s announcement today clarifies things quite a bit. Twitter has already declared its distaste for any business that manages how people consume tweets. Today, the other shoe dropped: Don’t build your business leveraging Twitter if you plan to run interest-based advertising at scale. Of course, the entire traditional media business is driven by interest-based advertising, which means Twitter’s business development group has a lot of work ahead. Interesting times ahead, to be sure. I don’t get…the same results as you. 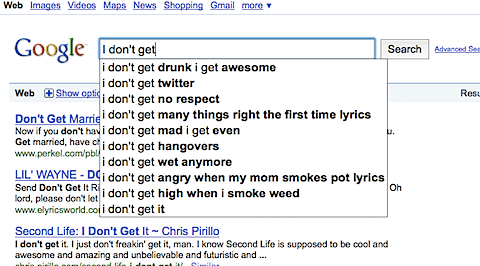 For me “I don’t get twitter” is number one (on google.co.uk). Feels like a very US meme! Next Next post: What Is Search Now? Disjoined.